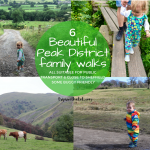 Looking for Christmas things to do with your family? 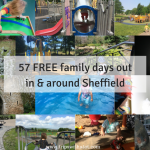 This list has 52 of the best Christmas Events, Grottos and Markets in and around Sheffield 2017. Have a good one! Looking for a traditional German Christmas market? Try the Leeds Christkindelmarkt – Open now until 24th December, at Leeds Millennium Square. Gifts, food, carousel, festive drinks and more. 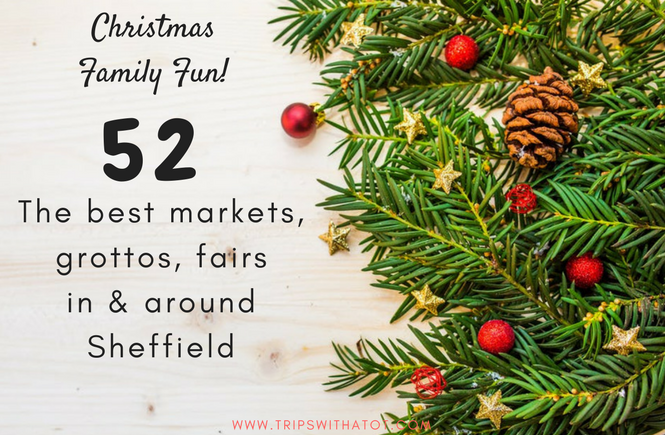 Browse gifts, have fun on the rides & visit the Santa’s Grotto at Sheffield Christmas Market ’17, open November 15th-Christmas eve. 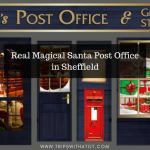 With Santa’s grotto, rides, traditional German food and drink, gifts stalls and more in Sheffield City Centre. On Thursday 16th November Rotherham Christmas Lights Switch-on takes place at Rotherham All Saint’s Square, from 4:30pm. This free event has the switch on before 6pm, a pantomime performance and entertainment for all ages. The light-switch on at York is Thursday 16th November from 5pm. They’ll be the York Christmas Lights Switch On, as well as the official opening of the traditional St Nicholas Fair. They’ll be a Christmas market all day from 10am-7pm on Friday 17th November for the Fox Valley Christmas lights switch on, with the switch on taking place at 5:30pm. They’ll be Christmas entertainment and activities 4pm-7pm and a chance to meet santa. Experience Eyam at Christmas on Saturday 18th November-December 17th. Christmas at Eyam Hall and Craft Centre is on from 10:30am daily and visitors can wander through the house to see how the hall would have been decorated 1672 to the present day. Christmas gifts are also on sale at the craft centre. A Magical Journey to Santa, Saturday 18th November-24th December is at Tong Garden Centre, Bradford. Make your way to see santa through his magical land with festive helpers ready to meet you. Santa is arriving at Wentworth Garden Centre on Saturday 18th November at 10.45AM on a horse drawn carriage from Holy Trinity Church. He’ll be in his workshop each weekend until Sunday 24th December with late night opening times available. Check the times here. Enjoy Christmas at Hardwick from Saturday 18th and Sunday 19th November. They’ll be snowmen to meet, photo opportunities, family activities, Christmas trees for sale, Christmas gifts and a festive song theme. On Sunday 19th November, enjoy the Charity Christmas Fayre at Boston Park Farm, Doncaster. 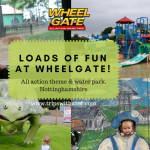 Admission is only £1 for adults, £5 for kids aged 3-12 years and £3 for toddlers- but this includes admission to the whole family attraction all day, so you can enjoy shopping and the kids will have fun playing and meeting the animals. It’s a 1940s Christmas at Sheffield Manor Lodge on Sunday 19th November from 11am-4pm has lots of festive activities on for all the family for £1 entry. They’ll be vintage bus rides, hair styling, donkey rides, war time Christmas cake, family activities and lots more. Get shopping at Burton Street foundation, Sheffield Christmas Market on November 19th, 11-4pm. They’ll be festive food and drink, music performances, craft workshops and a Santa’s grotto. Meet santa at the Mosborough Hall Hotel Christmas Market on Sunday November 19th, 11-4pm, free entry. 30 festive stalls, food and drink and a brass band. See the light switch on in Chesterfield on 19th November. The market hall is open from 11am for the Chesterfield Xmas lights Switch On until 5pm, with rides, stalls, games and more. 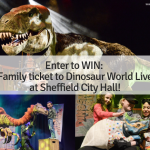 Don’t miss Sheffield lights switch on in the city centre on 19th November. They’ll be a The Moor Christmas Party and Light Switch On. Starting from 2pm-6:30pm, this family event is always a popular one. they’ll be rides, entertainment, kids activities, festive food and drink, Christmas markets, Santa’s grotto, choirs and carolling. The illuminations at from 5:30pm in the Peace Gardens. See the light switch on in Barnsley on Wednesday November 22nd. Barnsley Town Centre Christmas Lights Switch On with fireworks from 5pm in Barnsley town centre, with the switch on at 6pm. The lovely Hepworth Gallery in Wakefield will have a Christmas Market Weekend from Friday 24th November all weekend. entry is £1 with many of the activities, and grotto being free of charge. They’ll be a mix of stalls with artistic and festive goodies for sale, pop up art activities, workshops and more. Christmas at Elsecar takes place at Elsecar Heritage Centre all weekend from Friday 24th November. The 3 day event will be packed full of entertainment and activities, with snow, carolling, rides, food, drink, late night shopping and more. In Roundhay Park, Leeds, the Magical Lantern Festival Leeds starts of 24th November. This special festival lights up roundhay park with amazing illuminations and is suitable for all ages. On Saturday 25th November-26th, MAGNA’s 2017 Christmas Family Fayre is on from 11am-4pm. This fair has over 40 stalls, festive food and drinks, free parking and family entertainment suitable for all the family. There’s Santa’s grotto, traditional rides and tickets are £2.50 with 1 free child. At Whirlow Hall Farm Trust, Sheffield, Whirlow Hall Farm Christmas Fayre Proudly Sponsored by GRI Group takes place the weekend of the 25th. On both days, they’ll be lots going on including an ice rink, festive food and drinks, hog roast, sleigh bar, santa and reindeer, local choirs and music. Suitable for all ages! Santa Underground starts on November 25th and is a very popular Santa’s grotto with a difference at National Coal Mining Museum for England. Visitors will go underground the mines to meet the man himself. Tours must be booked which at on from November 25th-23rd December with 2 time slots a day. Enjoy a live and interactive performance of “A Christmas Carol” at Cannon Hall Museum, 11am on 25th and 26th December. The performance takes place in a beautiful ballroom, where you can meet Scrooge and his ghosts! Adults £4, kids £2.50. The Santa’s grotto at Eureka! 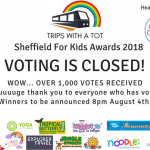 the national children’s museum is the best-rated grotto by Netmums. Opening on 25th november-23rd December, a visit to the grotto is included in admission to the museum. Gifts are an additional £3. On Sunday November 26th, it’s the Rosehill Christmas Market and Santa’s Grotto! at Rosehill Victoria Park, Rotherham. From 10:30-3:30pm with a Santa’s grotto. On Tuesday November 28th, the Coca-Cola truck comes to Fox Valley!, S36. They’ll be a selfie bridge, festive food and drinks, sing a longs, sleigh, face painting and lots more. See the Dinnington Christmas Festival on Wednesday November 29th. Laughton Road in Dinnington will be closed for the annual festival from 6pm-9pm, they’ll be fairground rides, stalls and lots of entertainment. Have a yummy Christmas Afternoon Tea at Tropical Butterfly House, Wildlife and Falconry centre from the 1st December in the cafe. Book your slot online to enjoy this festive afternoon tea with yummy treats. Attend the Thrybergh Park Christmas Fayre in Rotherham all weekend, but on Saturday 2nd December you’ll get to see watch santa on a speedboat! The fair is open from a after dark on the Friday with a grotto, children’s crafts and live music. On the Saturday, watch santa arrive on boat at 4pm and until 4pm enjoy stalls, food and drink and entertainment. Enjoy a free Christmas Experience fair at National Coal Mining Museum on selected weekends in December: Saturday 2nd December & Sunday 3rd December, Saturday 9th December & Sunday 10th December, 9am – 4.30pm. As well as the underground grotto, they’ll be stalls, food and drink in the pit yard, Christmas themed activities and toast your own marshmallows. From Saturday 2nd, meet Father Christmas at Bolton Abbey Estate every weekend and daily from 18th-23rd December at Bolton Abbey. Find the old vintage roman caravan in the enchanted woodlands where you’ll find santa all cosy with reindeers, carolling and open wood fires. 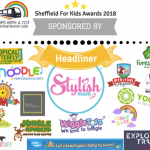 Tickets have to be booked in advance as the children’s gift will have their name on. Experience a traditional Christmas event at Tropical Butterfly House, Sheffield from Saturday 2nd. Santa, Elves & Sleigh Bells on weekends and daily in Christmas holidays has lots going on to keep kids entertained. 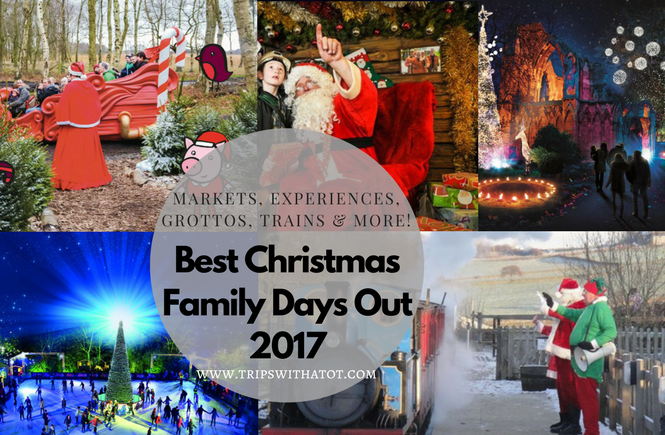 There’s daily animal encounters and feeding sessions, play areas, a Santa’s grotto, festive tractor rides, elf workshop, crafts and more. Santa and his elves are at Barnsley Town Hall on Saturday 2nd December, Christmas at the Town Hall is transformed into winter wonderland, with shopping, activities, a festive story teller and lots more. Listen to some traditional carols in Sheffield Winter Garden on Saturday 2nd. Sheffield Carols @ The Winter Garden is from 11am-3pm and free to enjoy. Why not join in? 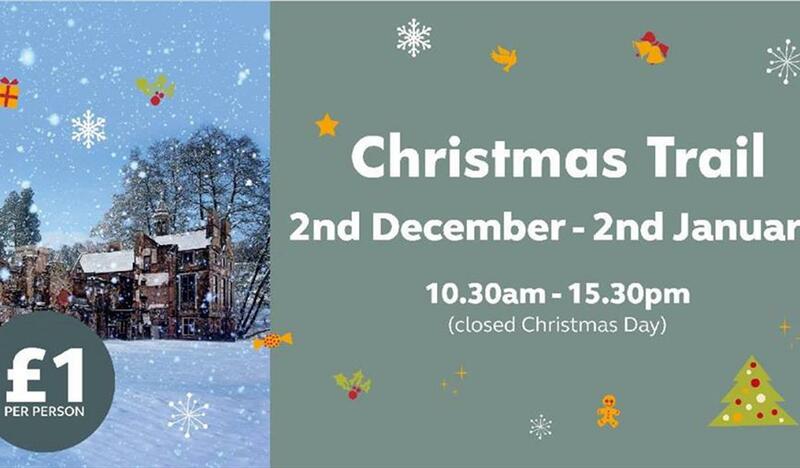 Enjoy the Christmas Family Fun Day at Wadsley Church Hall on Saturday 2nd. From 1-4pm, they’ll be Disney festive fun with a “be our guest” theme. You’ll find Christmas crafts, mulled wine, raffles, Disney characters, dancers and lots of magical fun. Step back in time on December 3rd and see the Sheffield Christmas Vintage Fair at Sheffield City hall from 10am-4pm. Get your Christmas gifts and enjoy a cake in the Lil’s tea parlour. Chase santa around Clifton Park, Rotherham on Sunday 3rd. At Clifton Park Christmas Market & Santa Dash you’ll get a chance tow in a helicopter ride with santa to help raise funds for charity. They’ll be rides, food and drink and tons of entertainment from 10am-3pm. Fancy a community Christmas market? On Sunday 3rd, the Handsworth Christmas market at Handsworth Old Refectory is on from 1pm-6pm. With mulled wine, real reindeer and food and drink, there’s enough to keep everyone happy. Watch a Christmas classic; Cinemama Christmas The Polar Express at Doncaster Little Theatre on Friday 8th. This is child friendly screening with tasty treats and extra festive activities available. See a festive market parade in Barnsley on Saturday 9th. Christmas ‘Super Saturday’ Barnsley Town Centre takes place all around Barnsley town centre with parades, Christmas characters, a grotto, Christmas crafts and lots more. Don’t miss the Wentworth Woodhouse Christmas Fair on Saturday 9th and Sunday 10th. This festive fair is on 10am – 4pm both days and there’s over 100 stalls, a grotto, reindeer, a market and stalls both inside and outside where you’ll be able to see the magical Wentworth Woodhouse decorated for Christmas. Step back in time on Saturday 9th in Rotherham town centre with the A Victorian Christmas event. Free mulled wine, traditional activities and entertainment, punch and Judy, Christmas market stalls and lots more suitable for all the family, free event. Children can enjoy Storytelling with Santa – A Victorian Christmas at Cannon Hall on Saturday 9th and Sunday 10th in Barnsley. Letters to santa can be written followed by listening to a festive Christmas story in a beautifully decorated ballroom. Gifts are included when you meet santa. Slots must be booked online. Toddler Christmas crafts at Clifton Park Museum on Tuesday 12th, with two slots one morning and one afternoon. Booking places is required. At 10:30am on Wednesday 13th, it’s the Toddlers Christmas Breakfast Party at Big Tops play centre in Dinnington. Have breakfast, visit santa, receive a gift and have a play! From Friday 15th December – 23rd December, Enchanted Brodsworth at Brodsworth Hall is Doncaster is a magical experience for all ages. Enjoy a walk under the illuminated archways, listen for the talking trees and follow the fairy lights. There’s fairground rides, food and drink, a grotto and a truly festive atmosphere. A 1940’s Christmas! at National Emergency Services Museum on Saturday 16th takes visitors back in time to the 1940’s, where you’ll be able to meet santa, enjoy live music, explore the museum, take part in crafts and eat some yummy festive food. From 10am-4pm. Meet some friendly reindeer and father Christmas at Magical Reindeer Experience on Saturday 16th in rotherham town centre, 10:30-3:30pm. Free event with live music. Enjoy Santa Specials at Kirklee’s Light Railway from December 20th-December 24th. Climb aboard the festive railway and meet santa in his grotto. 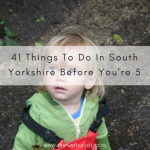 Children can write letters to santa, enjoy the outdoor adventure playground, and adults get a mince pie and festive tipple. This event is very popular with families and sells out, so do book in advance! See santa at the Santas Grotto Experience on Wednesday 20th December in Handsworth. From 1pm-9pm, santa will be in his sparkly grotto. Children can decorate a Christmas cookie and write a letter to santa, all included in admission. There’s also a licensed bar and bouncy castle. 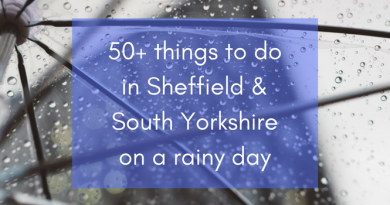 Don’t forget to SUBSCRIBE to keep up to date with all my posts, and join in with the fun on Facebook! 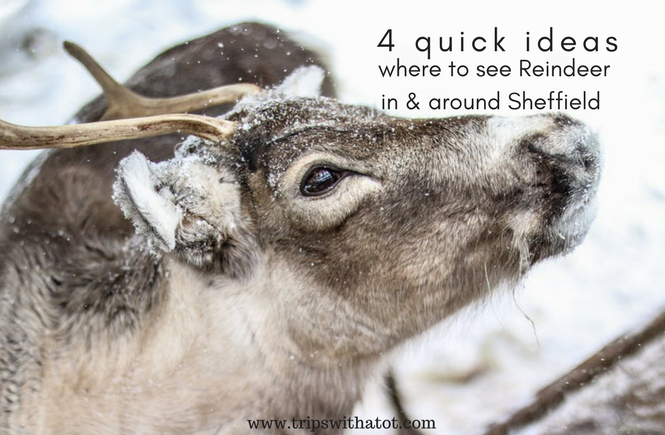 Where to go to see real reindeer!